Get into a film-centric mood just in time for all the award shows this winter. 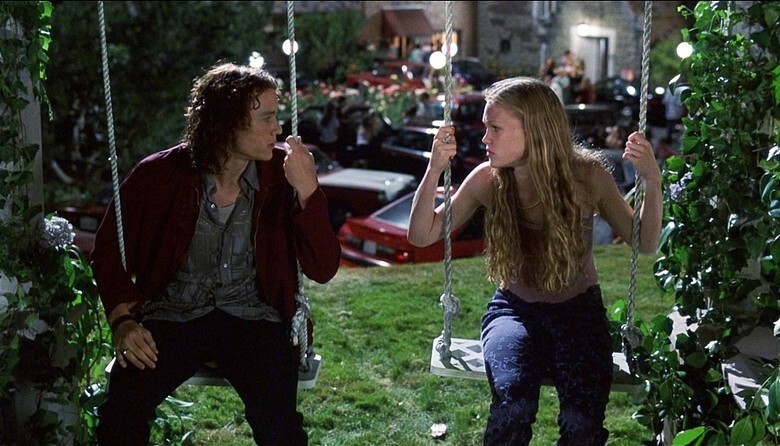 A loose re-telling of William Shakespeare's 'Taming of the Shrew' but set in an 1990s American high school full of teenagers is 10 Things I Hate About You: a fresh take on the typical teenage romcom. Popular, pretty Bianca Stratford (Larisa Oleynik) is in dilemma. A family rule forbids her from dating until her unpopular, rebellious, boy-hating older sister Kat (Julia Stiles) gets a suitor of her own. In an attempt to win Bianca, a potential boyfriend (Andrew Keegan) desperately attempts to set Kat up with Patrick Verona (Heath Ledger), another rebel whom may just be able to win Kat's heart.